The pictures do not do this dress justice! 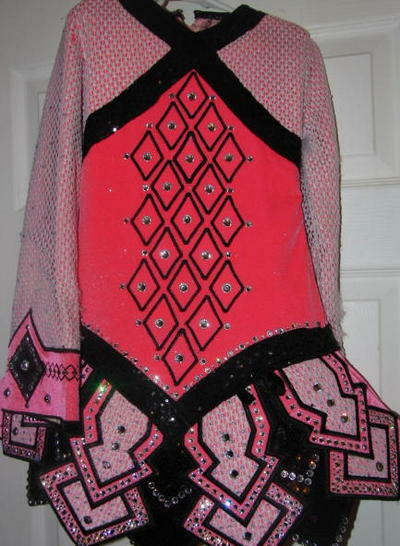 This is a gorgeous pink velvet dress that has amazing stage presence. 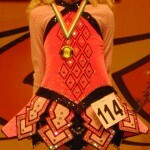 This was dancer’s first solo dress and very sad to see it go. 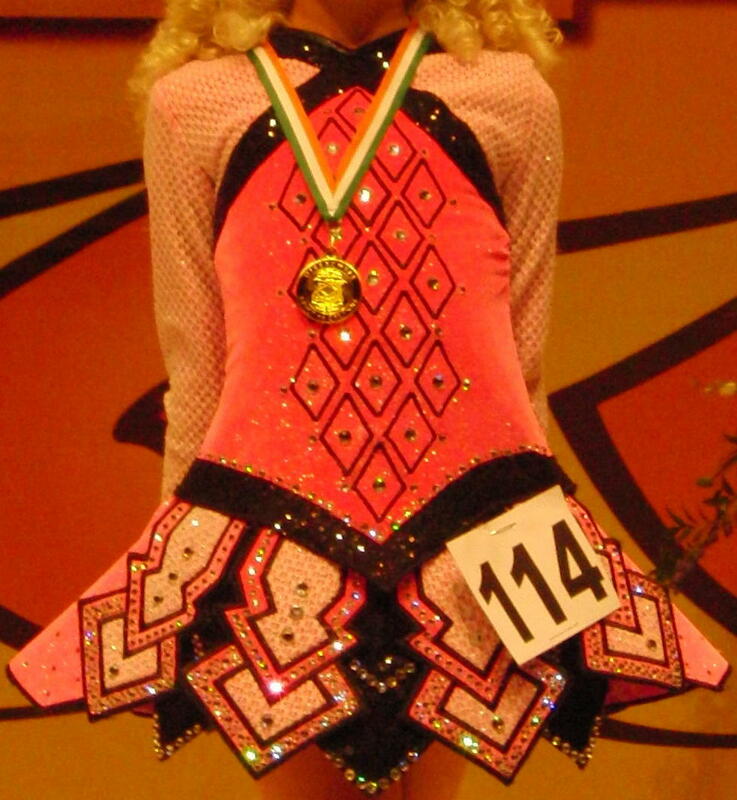 Dancer placed very well in this dress! 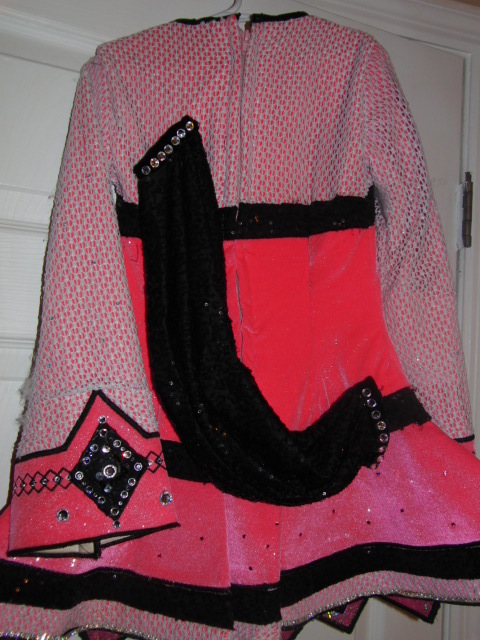 Hot pink fabric with lace overlay on top bodice, sleeves, and panels. Black glitterdot material in various places including panels. Hundreds of Swarovski diamonds make this dress truly shine! 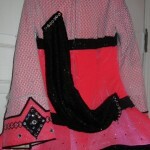 Underskirt is pink with silver dots with matching kickpants. Dress is priced at $500 due to wear on inside sleeves, not noticeable from stage. Asking Price: $US500. Shipping costs not included. Returns are negotiable.